Funky genius from the legendary Stax studios! 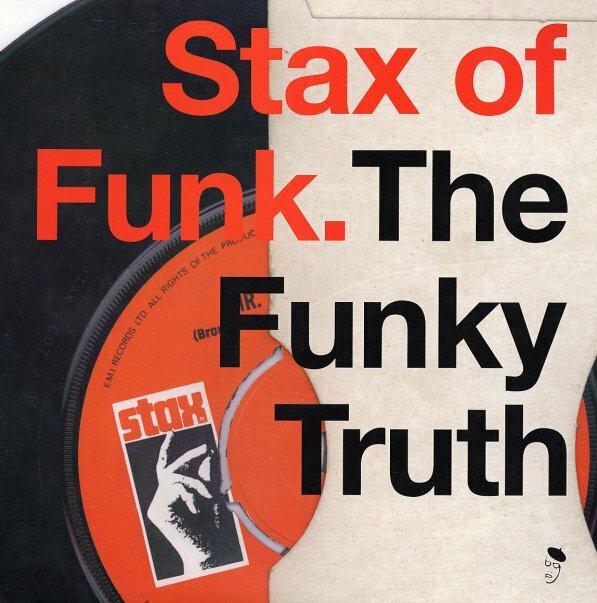 During the 60s, Stax was well known for their work in the soul music field – turning out hit singles by the likes of Otis Redding, Sam & Dave, and others – but after 1968, when the label finished their deal with Atlantic, they really started getting down and dirty, and hitting on all burners in the funk department. This tasty set features 21 tracks from those exiting years –many of them only ever issued on singles, and a few of them by some of the label's more famous LP artists – but all of them with a nice Memphis funky groove! Titles include "Turn Your Damper Down" by Rufus Thomas, "Broadway Freeze" by Harvey Scales, "Life Is Funky" by Round Robin Monopoly, "The Dryer" by Roy Lee Johnson, "She's My Old Lady Too" by Lee Sain, "Slipped & Tripped" by The Sweet Inspirations, "Brothers & Sisters" by Kim Weston, "Movin Dancer" by Bobby Holley, "Eli's Pork Chop" by Little Sonny, "A Man Never Knows" by Chris & Shack, "Grab A Handful" by Art Jerry Miller, "I'll Kill A Brick (About My Man)" by Hot Sauce, "Watch The Dog That Brings The Bone" by Inez Foxx, "Sock Soul" by The Bar Kays, and "Getting Funky Round Here" by Black Nasty! © 1996-2019, Dusty Groove, Inc.